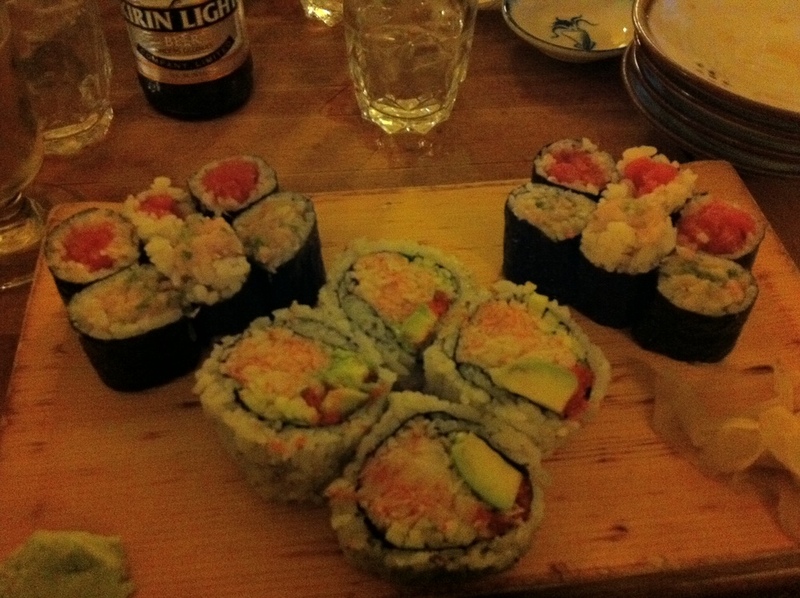 I live close to one of the best sushi places in the city, Tomoe Sushi. Normally, I see the huge line EVERY NIGHT outside & smile that I am eating elsewhere...somewhere with a reservation or at home. I finally went for the first time last night and loved it. What finally got me there? A great friend in town and her 12-year-old son that loves sushi. Totally fresh, oversized rolls, totally yum and just what I wanted after a long weekend of food crawls and too much eating out. The promised "15-minute" wait was more like 45 minutes but I'm glad I finally tried it.